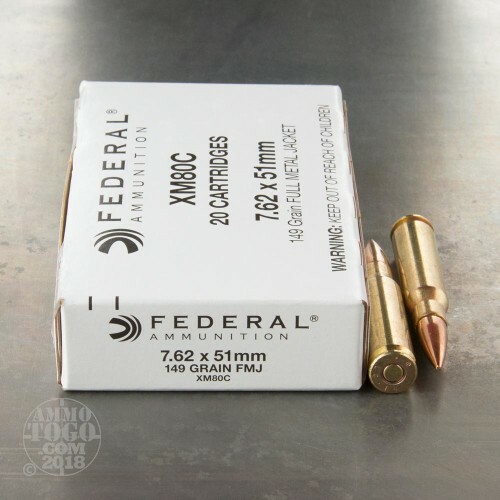 This 7.62x51mm ammunition from Federal is a staple range load for M-14s, AR-10s, and a variety of other .308/7.62 NATO rifles. 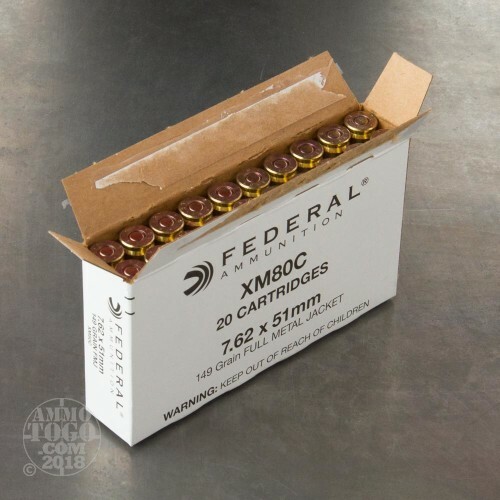 Each round in this box of 20 fires a 149 grain full metal jacket bullet. 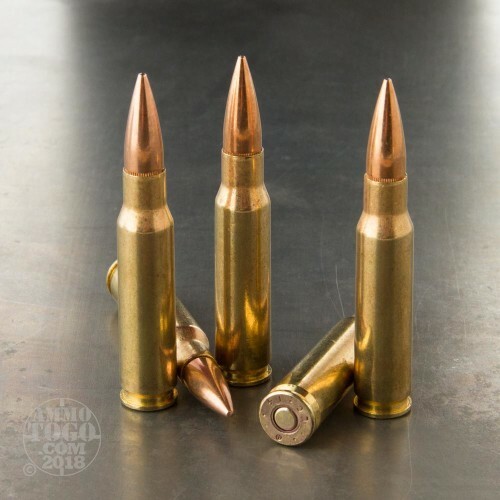 These rounds are loaded to meet the M80 ball designation. Federal ammo is loaded in the USA using non-corrosive primers and reloadable brass. You can expect to see muzzle velocities around 2,750 feet per second. 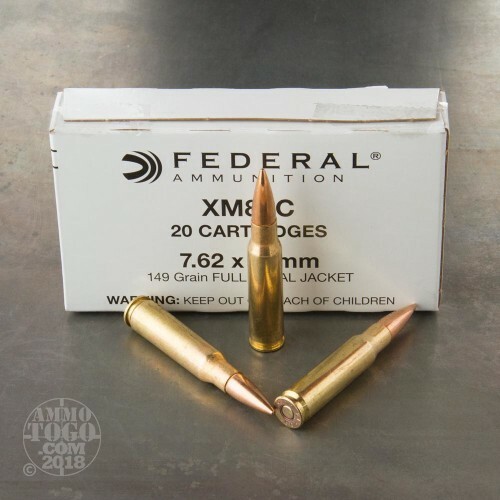 Excellent 7.62x51 ammo for the range!